A contemplative study of the human condition through language permeates Gillian Allnutt’s new collection. The poems are mainly rooted in County Durham, where the poet lives, and in Christian spirituality but her themes and concepts have a wider breath encompassing other British regions, such as the Scottish islands, Suffolk, Cotswold and Oxfordshire, and bridging other spiritual practices, such as Judaism and Buddhism. Language is the vehicle for this exploration that touches philology and philosophy to convey a clear, authentic experience of humanity, and an empathic engagement with the world. The poems have a musical, spare quality, sometimes an aphoristic style, with complex textures that interlay allusions to, and quotations, from different kinds of texts, such as songs, ballads, hymns, poems by Hopkins and Yeats, pieces of music, exhibitions, radio programmes, philosophical texts, especially I and Thou by Martin Buber, and the Holy Scriptures. Meditation is the filter through which themes, intertexts and language are developed. This gives a personal, multi-layered dimension to the poems pointing to a search for a greater significance and a deeper sense of life. Nevertheless, the poems are not abstract or unreachable to the general reader; on the contrary they are rooted in ordinary life that emerges in words, objects and stories. Here Allnutt stresses both our being a community of humans and also our isolation, a paradox that recurs in her poetry. The image of the sea, the alliteration of the sound ‘s’, the word ‘solitude’ positioned in the last line and the reference to Simeon’s song (‘Lord, now you are letting your servant depart in peace, according to your word’, Luke, 2.29) give both an idea of expansion and of isolation. Other poems on the same theme have a more complex set of allusions referring to different texts and developing a multi-layered meaning as in ‘prayer’, where the reference to ‘Le Corburier’s machine for living in’ (where the French architect was speaking about the house: ‘une maison est une machine-à-habiter’) is further developed in the following line where the essence of spiritual life is housed in the heart: ‘but in the tent or tabernacle of the heart/à l’abri –/allowing of all worlds only the wind/for wall’. Here the allusion to the sheltered (à l’abri de) and at the same time open (the wind/for wall) space of the heart is a paradox that illustrates the breadth of Allnutt’s vision as well as its complexity. Furthermore, as explained in the footnote and endnote to the poem, à l’abri also refers to the novel À l’abri de rien by Oliver Adam (2007), which is about the asylum seekers living in the Jungle in Calais. This gives a social contemporary angle to the poem and stresses the ephemerality of the human condition as well. Extensive use of endnotes and footnotes on the one hand allows disambiguation and guidance to the reader in the labyrinth of quotations and references, on the other hand opens up allusions or quotations, or fragments of allusions, that need to be completed and interpreted by the reader’s experience. Therefore, the disambiguation and supposed explanation of the notes is partially illusory in its fragmented quality. The word ‘ecuelle’, from French écuelle, a bowl with two handles, stresses the ordinariness in the origin of the term coming from Vulgar Latin, not Classical Latin, scutella, a very common word. The aphoristic quality of the first line of the verse is understated in the ordinariness of the ‘mobile phones’ and equalized to Shalom (Goodbye, peace). The exploration of the origin of words and of their multiple uses encompasses different languages in an attempt to communicate a truer, more authentic message with multiple connections that look for an identity which is manifold and unique at the same time, an inclusive, multi-faceted entity. It is a commitment to language where ‘the speaker enters the word and takes his stand in it’ (I and Thou by Martin Buber) in a dialogical open-ended view. For this reason, some of the poems tell stories that reflect this vision and focus, for example, on the the madness of past and present wars, pointing to a more authentic commitment to our life as human beings among humans. Our everyday struggle against inevitable mistakes, or sins, is sometimes heroic, as in the evocation of Tam Lin’s story (‘Song’), and at other times invented, as in the encounter with her grandmother. 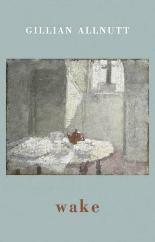 This is told in the only prose poem of the collection, ‘Elias’, where the simplicity of the protagonist’s own life (‘there was nettle soup…with water straight from the jug’) and of the grandmother’s life (‘she wore a dull blouse and a long grey skirt of some poor stuff’) seems to be an alternative that can shelter temporarily from the ‘bombing campaign above’ (‘medlar, meditation’), or from ‘the garden of violated love’ (‘Near the Peace garden’), that is from conflicts, where people are displaced ‘without end, without asylum’. This is also revealed in the poem ‘Meditation’ where the fact of being immersed in contemplation allows the imagination to find powerful connections between childhood memories (‘I want to do it my own’), the Mary’s Song (He hath scattered – ) and chronicles of the past (Liber Eliensis). The quality of fragmented allusions and quotations, of ‘half-revealing mystery’ (Adam Thorpe), invites the reader to complete or interpret the poet’s vision. Mary’s Song is one of the high points of the collection. The whole line from the Magnificat says: ‘He hath scattered the proud in the imagination of their hearts’ (Luke, 1.51), which is a powerful disruptive example of woman’s writing and sounds as a promise of some kind of justice in our disillusioned world. These concepts are stressed in the rhymes and in the skillful use of line breaks avoiding punctuation. As a matter of fact, our transient state is acknowledged and contemplated in a final vision of ‘solitude’ waiting for the ‘sweet chariot’ that will bring us home. As in Julian of Norwich – a mystic of the late 14th century and the first woman who wrote in English –, whose Revelations of Divine Love are quoted in ‘The Word Quire’, the ordinariness of a common object (‘the size of a hazelnut’, ‘a measured quire’) is one with abstract thinking. Thus, our essence is inevitably fallen and nourished by Christ’s incarnation in Julian, and by spiritual inwardness in Allnutt. It is engrossing to see how Allnutt’s work explores and develops écriture féminine in a different way from what Cixous suggests in her seminal work The Laugh of Medusa, where it is described as the language of the body, an overflowing of feelings. Allnutt’s écriture féminine is instead expressed in a spare use of language that is both spontaneous and controlled, filtered by meditation and mastered by philological exploration in the musical quality of her poetry. The final response to the anxieties, troubles and contradictions of our world and of our being human seems to be in the acknowledgement of our unstable and fragmentary essence. This is reflected in her use of quotations and allusions, which form, nevertheless, a kind of unity, an identity rooted in the land, in a spiritual commitment and in the ordinary. Identity is always left open to the new which is welcomed with a compassionate gaze.